David Dunsdon played a waiting game timed to perfection when winning Salisbury’s historic Carnarvon Handicap (now sponsored by Sarum Refrigeration Services) with his own PARTY ROYAL to score in a thrilling finish by a head. 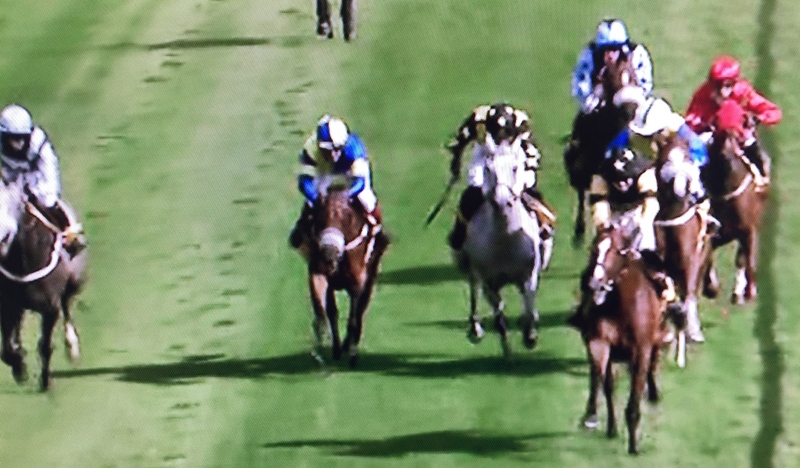 Held up last of the runners until making a move 3 furlongs out, David took his horse wide to challenge inside the final furlong and lead close to the line. 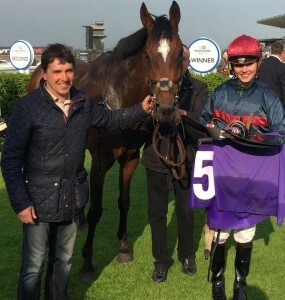 Many congratulations to David and to his cousin trainer Nick Gifford. 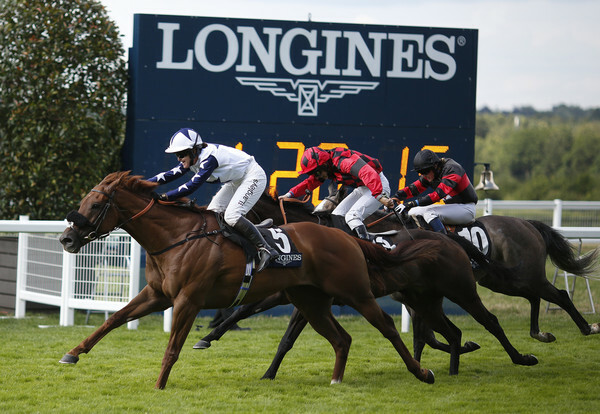 Congratulations to reigning champion Serena Brotherton who increased her current lead in the ladies amateur flat championship by winning the Ascot Longines Handicap with Simon Crisford’s PERIL. 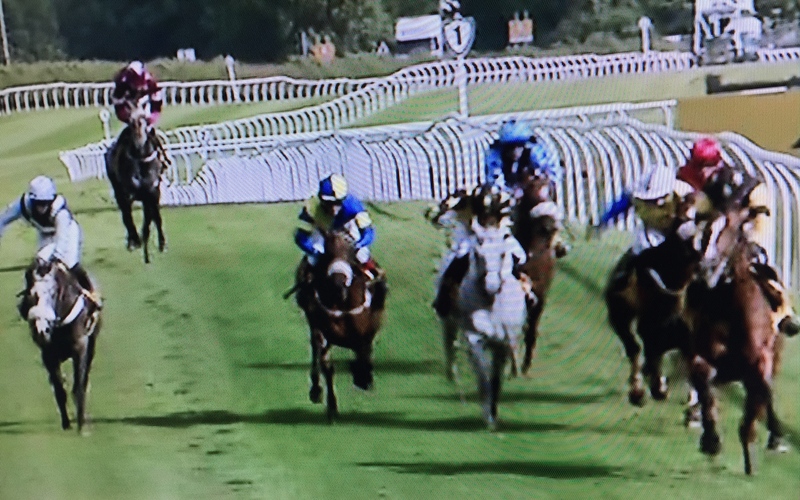 Richard Fahey’s CHISWICK BEY kept on well to finish 3/4 lengths back in 2nd ridden by fellow Yorkshire lass Aly Deniel, with Michelle Mullineaux and SMOKETHATTHUNDERS 1/2 length back in 3rd. 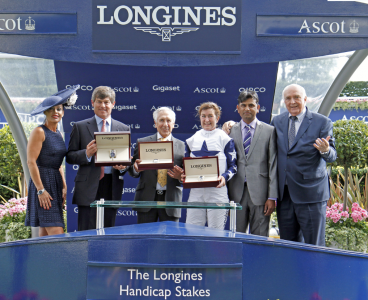 This was Serena’s third win of the race, formerly the Ascot Diamond, and her 2nd in recent Longines sponsorship years with a 2010 success. 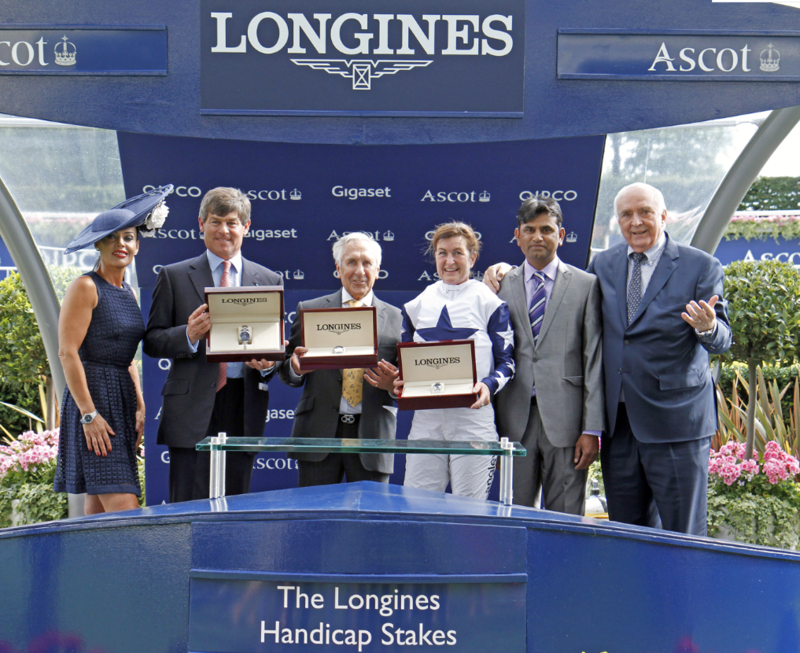 Trainer Simon Crisford gave all of the credit to his lady jockey and was enjoying his first success at Ascot as a trainer. 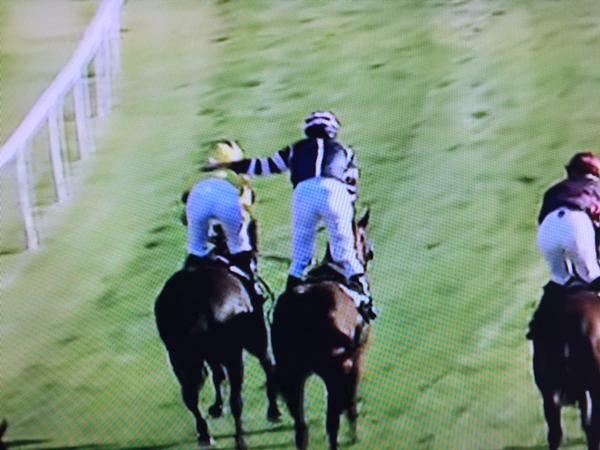 Following his victory the trainer said “Peril is a very straightforward horse. We fancied him on this ground and when he looked well drawn. 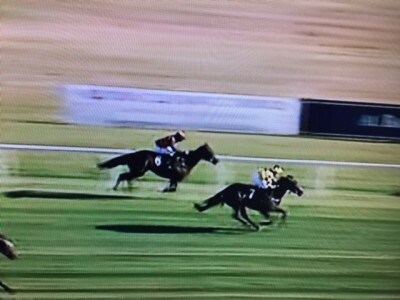 We booked Serena a couple of weeks ago and she has delivered with a fantastic ride.” Well done Serena! 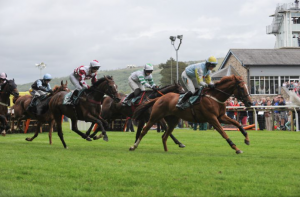 Worcester Racecourse provided a memorable day for Jonjo O’Neill when the Worcester News Amateur Riders Handicap Hurdle was divided and saw two amateurs enjoy their first career wins. Not only were both winners trained by Jonjo O’Neill but also they completed a 4-timer for him, with the latter ridden by his son Jonjo. The second division of 12 provided a much tighter finish with trainer’s son Jonjo O’Neill partnering the tricky TEMPLE LORD who idled on the run-in but managed to get up by a neck in a driving finish from Bradley Paris-Crofts and ENNISNAG. 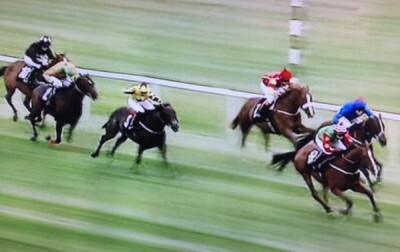 Many congratulations to all at Jackdaws Castle on a day to remember! Congratulations to Kathy Begley who partnered MOOJANED and made virtually all to enjoy her first success under Rules at Newbury this evening in the NSPCC Amateur Riders’ Handicap. David Evans said “I thought she’d gone too fast but the horse stays well. She’s done a good job.” Well done Kathy! 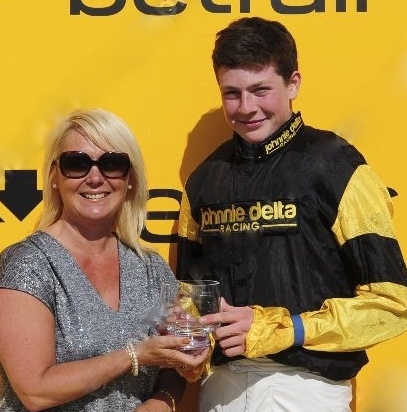 Congratulations to Aiden Blakemore riding for his trainer Shaun Harris when winning the 3rd leg of the 8-race Betfair Novice Amateur Riders Series with course specialist BOTANIST at Leicester this evening, chasing down the front-running JEBEL TARA (Joshua Pearce) inside the final 100 yards to win by a head. 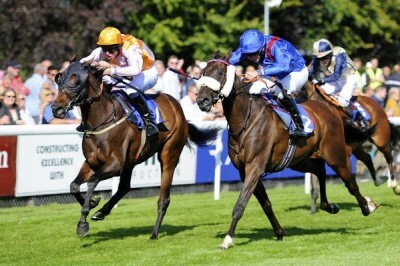 An ex-apprentice, this was Aiden’s 2nd win of his career. He said “I knew I would get the leader a long way out as Botanist loves it here. He’s quirky but he’s good. I’m based with Shaun and have been with him for about a year. 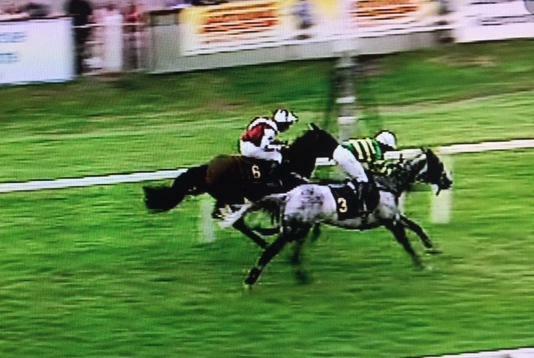 Its my first winner for him and I’m really pleased that it has happened.” Well done Shaun! 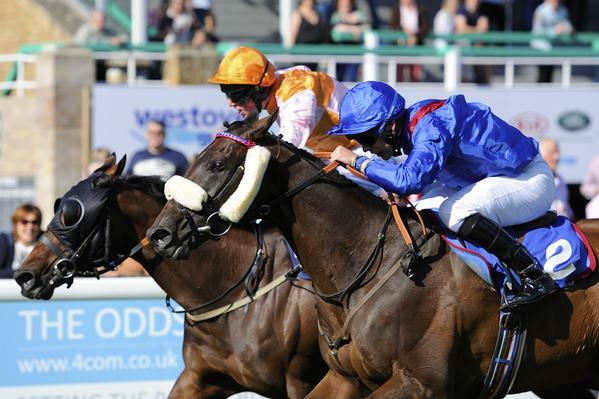 The series now moves on to REDCAR on 29th July with Tim Reed, Northern Racing College BHA Jockey Coach in attendance. Many congratulations to Ireland’s victorious amateur Lisa O’Neill who joined 9 other lady jockeys at the post at Cartmel Racecourse today for the Banks Lyon Jewellers Lady Riders’ Hurdle, which played an important part of their Cumbria Crystal Cup Day. 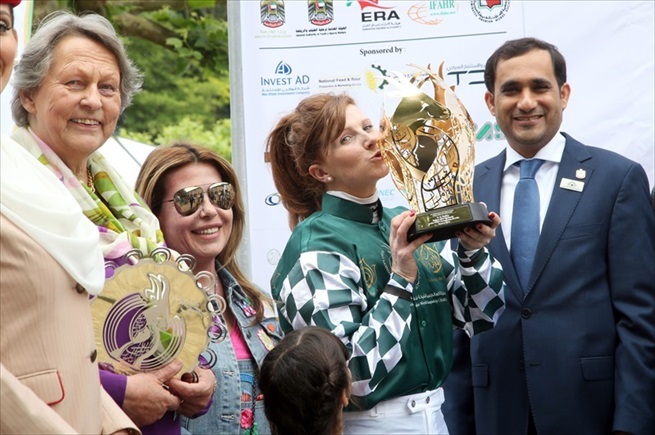 The generous sponsorship of Lancaster-based Banks Lyon Jewellers at Cartmel included diamonds for the winning lady jockey as well as £10,000 prize money. As a consequence the race attracted ladies from England, Scotland, Ireland and Wales. Ultimately it was the hold up tactics of Lisa on Gordon Elliott’s TEMPO MAC that paid dividends, allowing the horse to make smooth headway tracking the leaders from 2 out to score comfortably once they turned into the final straight, winning by 8 lengths. 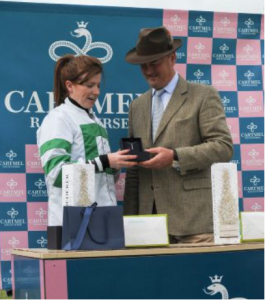 Huge thanks to both Cartmel Racecourse and to Banks Lyon for providing such a great prize to encourage and support lady jump jockeys from near and far and to add so much sparkle literally to a great day’s racing. Many congratulations to Matt Ennis on his first flat winner (from only 6 rides) at Catterick this afternoon aboard Jim Goldie’s popular 13 year old veteran DHAULAR DHAR, who was winning for the 13th time in his distinguished career. 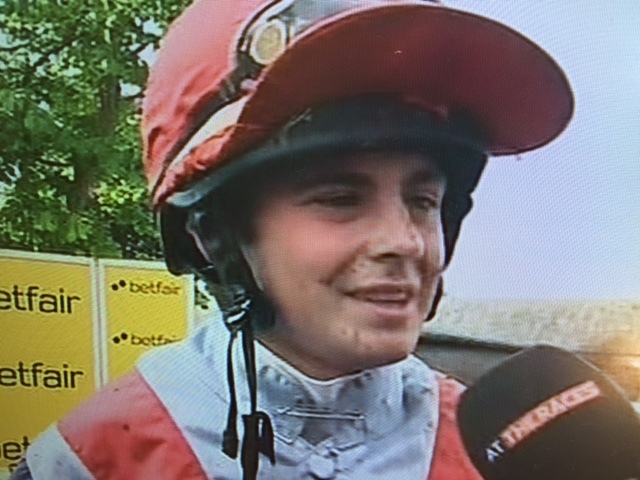 18-year-old Matt is attached to Richard Fahey’s having been with Graeme McPherson for whom he rode his first jump winner at Southwell last December . With 3 non-runners, a total of 8 novice amateur jockeys went to post with Dhualar Dhar taking a keen hold from early on. 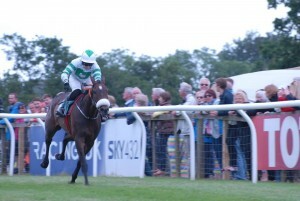 Matt held him up at the back of the field and made steady headway up the inner from about 3 furlongs out to take the lead inside the final furlong and win stylishly by a couple of lengths. 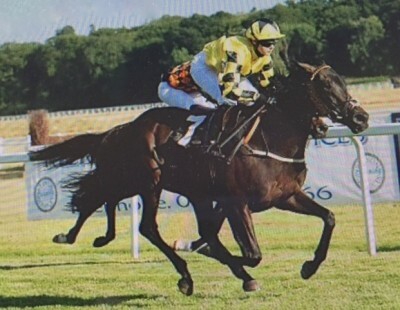 Tom Greatrex was a gallant second with FERNGROVE and Joe Wright, fresh from winning a handicap hurdle at Hexham on MINELLA HERO last month and then 5th in the opening Betfair race of the season at Nottingham, was 3rd with the grey PERTUIS. “That was unreal” said Matt. “He gave me some spin and I was just conscious not to hit the front too soon.” The series now moves on to Leicester next Wednesday. Well done Matt! 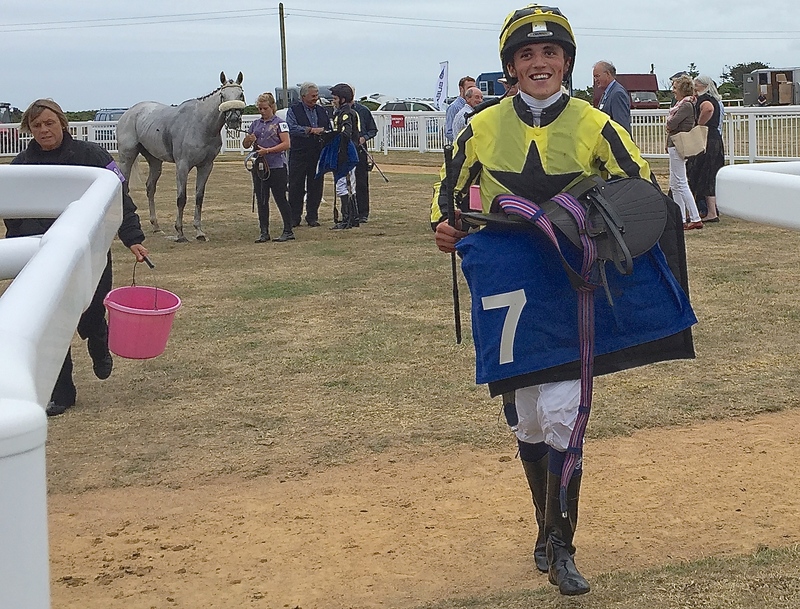 Beverley Racecourse provided Poppy Bridgwater with a day she will never forget when winning her first race under Rules in the Dorothy Laird aboard ENGAI trained by her father David. Tracking the leaders in the early stages of the race, the pair made headway from 2 furlongs out to stay on well and lead inside the final furlong. Becky Heptonstall and SCRUTINY were just over a length away in 2nd with previous Dorothy Laird winners carrying top weight Serena Brotherton and CITY GROUND a similar distance back in 3rd. 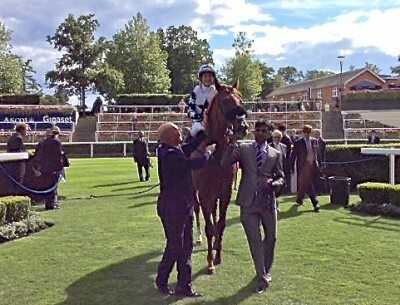 Many congratulations to winning connections! 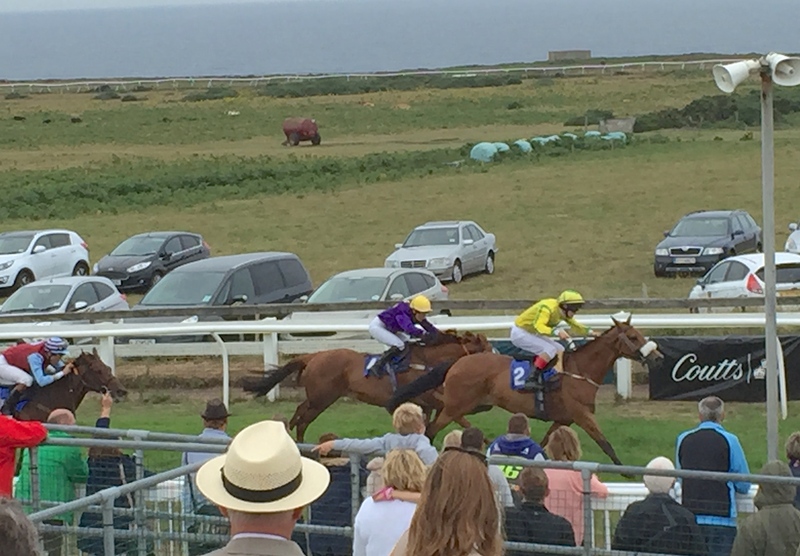 Thanks to the generous joint sponsorship of Dandy Properties Ltd and Crespel Properties, Jersey Raceclub programmed an additional race to their usual 5 race card on Sunday 12th July at Les Landes, that being the AJA Handicap for amateur riders. Fortunately the rain that greeted racegoers soon cleared to give a sunny afternoon with the moisture taking the sting out of the ground. 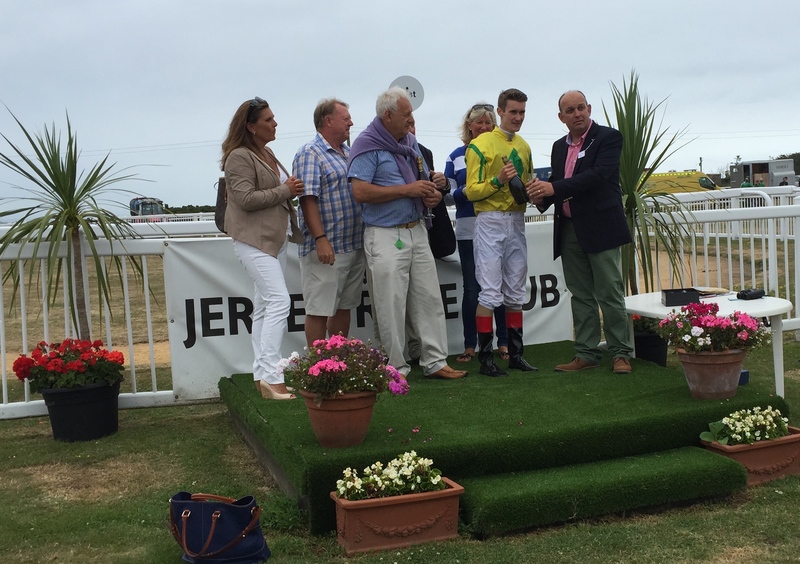 Five runners went to post representing 3 nations: France (Jean Philippe Boisgontier and Melissa Boisgontier), Jersey (Frank Fairchild) and the UK (Phillip Collington and Ross Birkett). 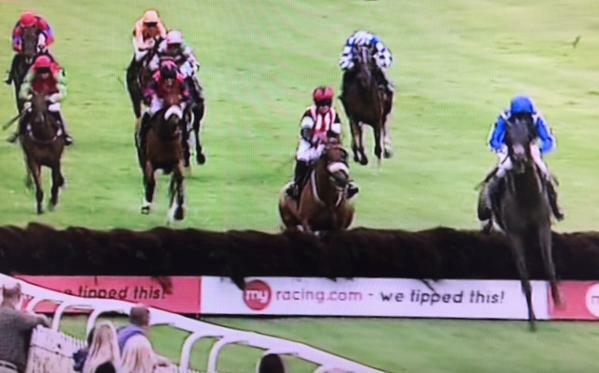 Ross rode in a hurdle race earlier in the afternoon to familiarise himself with the racecourse – the first time he had taken part in a jumps race for 6 years! 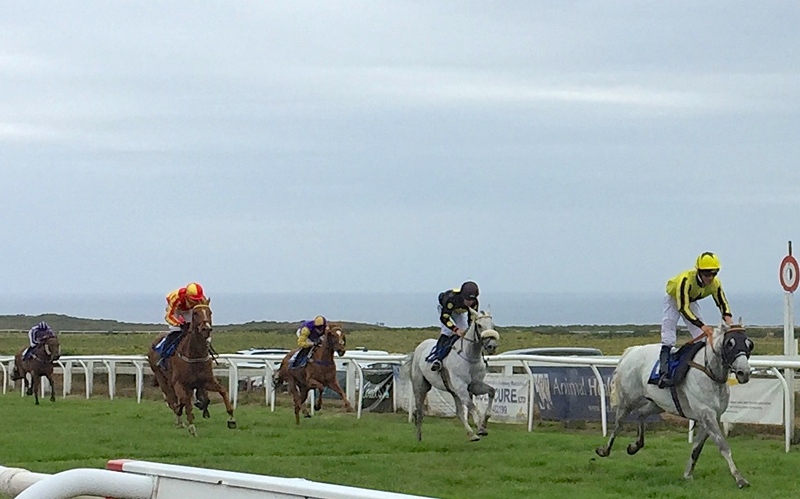 It paid dividends in arguably the best finish of the day which saw victory for Ross aboard Neil Mulholland’s MRS BURBIDGE. 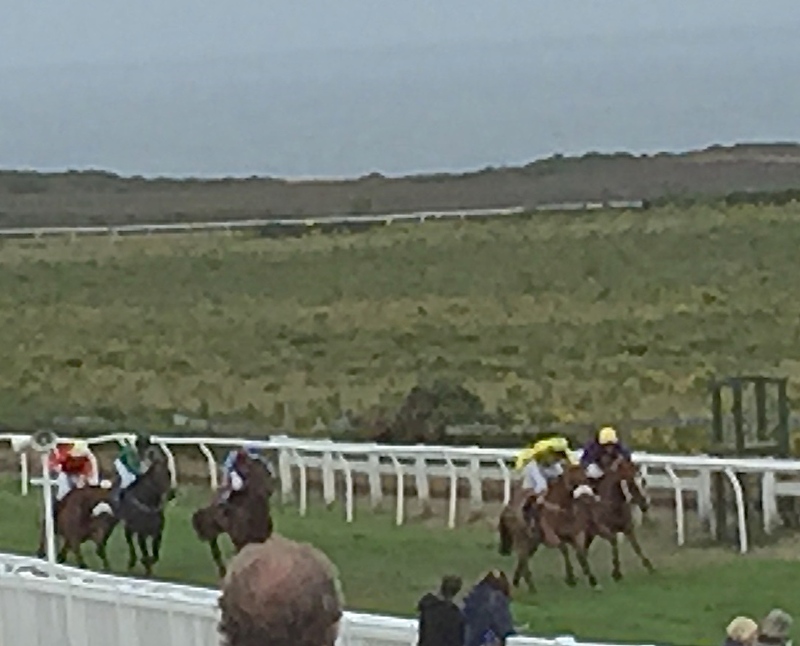 Many thanks to our generous sponsors for this unique opportunity for amateurs to race in the Channel Isles and well done to winning connections. Earlier in the afternoon Freddie Tett enjoyed a winner against professionals when partnering outsider LUCIFERS SHADOW for Mrs Gilbert. Having been instrumental in organising the sponsorship of the AJA race but without a ride, this result felt well deserved. 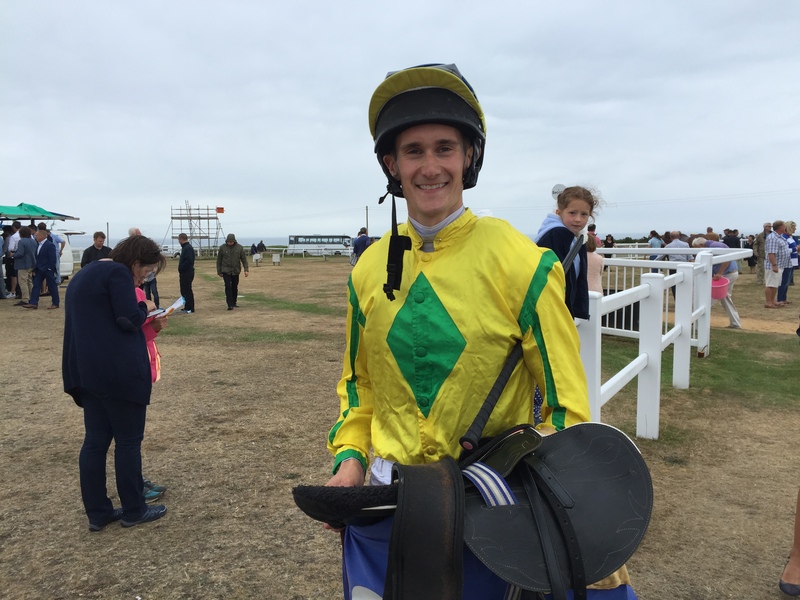 Apart from winning rides in France this summer, Freddie has also kept himself busy riding in Jersey and currently lies 4th in the Channel Isles Champion Jockey tables with 4 wins from 14 rides. Jersey is a unique place for jockeys to gain race riding experience and is the only place within the British Isles where amateur jockeys can ride against professionals not only over hurdles but also on the Flat. There is also above average prize money and we hope that this year’s AJA race can be built upon with strong support from both France and the UK and become a permanent fixture within the amateur calendar. 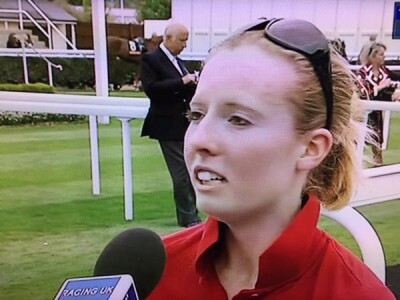 Congratulations to Clare Robinson on enjoying her first career winning ride at Newbury this evening in the Al Bastic Equiworld Handicap when partnering DARK AMBER for her trainer Brendan Powell. With ambitions of becoming an apprentice, Clare was having only her 3rd ride on 5 year old DARK AMBER who started 9-2 favourite. She settled the mare midfield and made progress 3 furlongs from home before staying on comfortably. 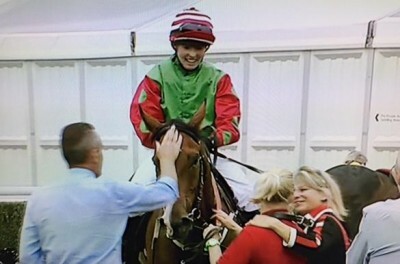 Well done Clare, seen here receiving a winning pat on the back from fellow jockey Edward Sibbick after passing the winning post.